Your smile matters! And at Gentle Dental Care in Cinco Ranch, our dentist wants to make sure you have the healthy, beautiful smile with our pediatric, family and emergency services. With two great locations serving the Katy area, you are never more than 20 minutes away from a Gentle Dental location. Making sure your teeth are clean goes a long way in making sure your teeth are healthy. Regular cleanings with our Cinco Ranch dentist can clear out tartar and plaque, freshens breath, and prevents dental issues such as caries, cavities, and other oral diseases and cancers. In fact, it’s proven that routine dental cleanings every six months help prevent periodontal, or gum, disease. Gentle Dental Care, your Cinco Ranch pediatric, family and emergency service dentist, uses the most advanced dental hygiene techniques and technology to provide the high standard of dental care you expect. Set an appointment today to schedule your dental cleaning. Chipped tooth? Damaged teeth? A dental emergency requires immediate attention to prevent the issue from getting worse. Gentle Dental Care offers quick and effective emergency dental care at both of our locations in Katy. Understandably, many patients are self-conscious about their smile. Whether it’s not feeing that their teeth are perfect, or very sensitive about the appearance of their teeth, patients are often looking for away to improve their smile. Gentle Dental Care in Katy offers cosmetic dentistry services such as Zoom, which is one of the most powerful teeth whitening solutions on the market today! Sometimes, dental issues become so advanced to the point that you are at risk of tooth loss. That’s when you need to turn to an endodontist. 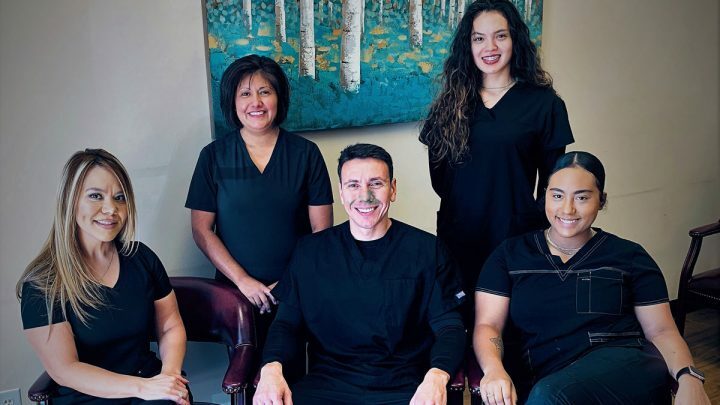 At our North Katy / North Fry Road location, we have an endodontist on staff that will work diligently to come up with the best treatment plan to help save your teeth. Root canals are an effective way to help clean and preserve teeth. The root canal procedure includes cleaning out damaged and infected pulp within your tooth. This stage is followed by dental fillings to keep saliva out and the root canal is completed by the addition of a crown to help restore normal tooth function. Gentle Dental Care has two locations in the Katy area that are ready to serve you. We are open five days a week Monday through Friday with some Saturday appointments available. Click here to set your Cinco Ranch pediatric, family or emergency service appointment with our dentist today!